Celebrities are just like us when they fangirl over their favorite stars. Case in point is Lovi Poe, who recently met the Academy Award-winning actor Eddie Redmayne in Italy. 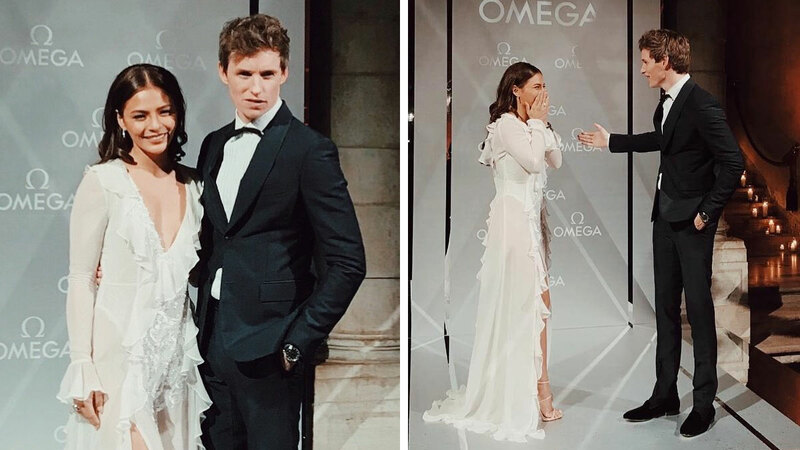 Lovi took to Instagram to gush over meeting The Danish Girl and The Theory of Everything actor at the Palazzo Pisani Moretta in Venice for an event for the luxury watch brand, Omega. Not only was the Kapuso actress starstruck over meeting Eddie, but she also got too excited and tripped over her dress right in front of him! In her caption, Lovi shared, "So I survived wearing heels these past couple of days in the floating city, but I managed to embarrass myself and trip over my dress in front of #EddieRedmayne. I guess that's what happens when you get too excited and start fangirling!" Eddie, who is an endorser of Omega, is also known for his work in My Week With Marilyn, Les Miserables, and, most recently, Fantastic Beasts and Where to Find Them.